After several years of intensive use, the frame pads of your Aero 265 trampoline battery can show signs of wear and tear. A key safety element of your structure, it is important to change them in order to maintain a maximal level of security for your installation. 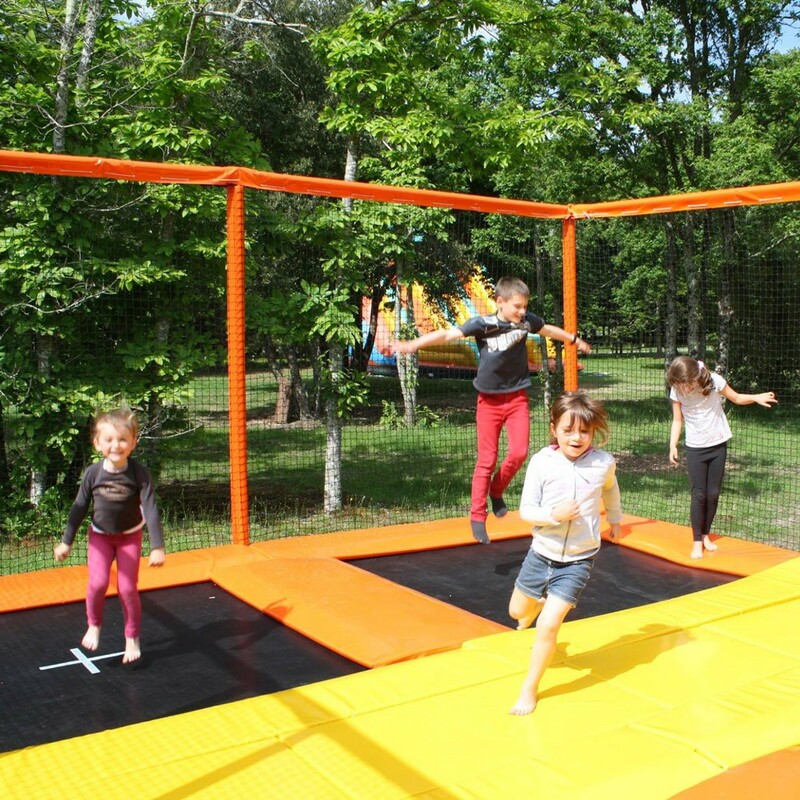 France Trampoline provides an after sales service for its Aero trampoline batteries and can manufacture identical framea pads. - Thanks to the high-qualtiy PVC that we use, our frame pads are designed to resist to intensive use, all year round. PVC is classified M2, according to fire resistance standards (hardly inflammable material). - Generous measurements allow the frame pads to cover all metallic elements, structure and springs. - Mono-block 60 mm thick EPE foam, witha density of 35 kg/m2, offers maximal safety to all users on your general public trampolines. - Numerous colours are available: blue, green, red, orange, yellow. - They are attached to the structure with elastic straps that are threaded through steel eyelets, guaranteeing stability and adherence of the pad. - Warning : frame pads on the outside of the structure (enclosure side = 45 cm) are not as wide as inside frame pads (80 cm). Please check that you have chosen the right frame pad. - Personnalized quotes are availbale for 6 frame pads and more. Contact us at 00 33 (0)5 56 36 04 62 or by email.